Tee-hee! We all know Henry is too tough for fear. So what’s got him looking so scared? You can find out if you read this book. The question is: do you dare…? The Fangmangler doesn’t really exist. 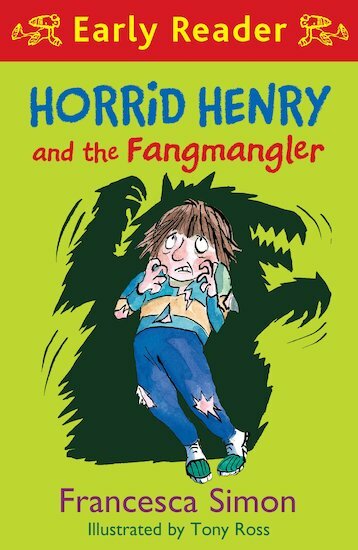 He’s just a made-up monster, invented by Henry to give people a fright. A horrid way for Henry to raise some cash for a Dungeon Drink kit, by scaring his friends and enemies silly. Right? But what if the Fangmangler does exist? What if he’s coming after Henry…? Bags of spooky fun! Place your bets: is the Fangmangler real or not?